If you can qualify for a home loan backed by the Department of Veterans Affairs, you've probably found the best mortgage available. VA loans don't require a down payment and have lenient qualification standards. Yet they charge a lower interest rate than conventional loans and are widely available. 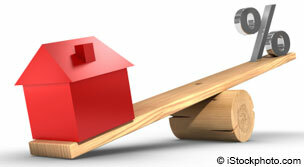 Many lenders offer this type of mortgage, from big banks to VA mortgage specialists. There's a key reason why this loan is so attractive to banks and mortgage companies. If you default, the government covers some of the lender's losses, typically 25% of what you borrowed. That gives lenders the same protection as if you had put 25% down on the home, so they can offer lower mortgage rates on a loan for which it's easier to qualify. What's more, VA borrowers rarely default. 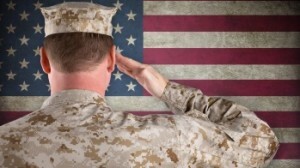 Here are 5 ways you can benefit from VA loans. RATE SEARCH: Shop for the best mortgage rates. Benefit 1. Qualification requirements are relaxed. The government guarantee means you can have a much lower credit score and carry more debt than lenders would typically allow. That being said, the government doesn't set minimum income or credit score standards. Each lender has its own qualification requirements. For example, Veterans United Home Loans, the nation's largest dedicated provider of VA loans, says you can qualify with a credit score as low as 620. With a score that low, you'd never qualify for a conventional mortgage, which typically requires a credit score in the mid-700s. But successful applicants buying a home with VA financing had an average credit score of 706 during March 2019, according to Ellie Mae, a California-based mortgage technology firm whose software is used by many lenders. You also can carry a lot of debt. Borrowers can spend up to 41% of their pretax income on debts, including student loans, credit card bills and auto loans (possibly more if you're otherwise a low-risk borrower). Conventional loans have limits ranging from 36% to 45%, depending on your down payment and credit score. VA guidelines will even consider borrowers who discharged a bankruptcy just two years prior to their application or who entered Chapter 13 bankruptcy just a year prior, as long as they can show a record of on-time payments over the last 12 months. What is a VA certificate of eligibility? If you want to purchase a home using a VA loan, you must prove that you have the military service to qualify for this benefit. That proof of qualification is called a certificate of eligibility. You'll also need a certificate to refinance from a conventional to a VA loan. Find out how to get your certificate. 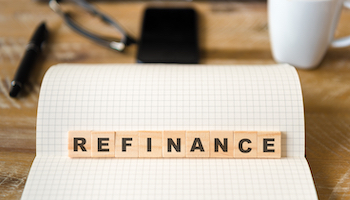 Lenders are also allowed to "gross up" the applicant's tax-free income, thereby lowering their debt-to-income ratio and making it easier to qualify for a loan. Possible sources of tax-free income include military allowances like the basic allowance for housing and cost-of-living allowance, child support payments, workers' compensation benefits, disability retirement payments and certain types of public assistance payments. If, for example, you receive a $1,000 monthly housing allowance from the military, you're in the 25% federal tax bracket and your state has no income tax, that $1,000 can be counted as $1,333 in pretax monthly income. Benefit 2. The government protects borrowers from taking on too much debt. The VA loan program does more than others to look out for borrowers' best interests by making sure they have enough money left to live on once their bills are paid. "Residual income," as this is called, subtracts key expenses from your net income to make sure you can still afford to support your family after you buy a home. Outside of the monthly mortgage payment, these expenses include homeowners association fees, special assessments, home maintenance costs, utilities, debt payments, child support and alimony. The VA also has loan specialists that can help you avoid foreclosure if you experience financial hardship. Benefit 3. You don't need money for a down payment. 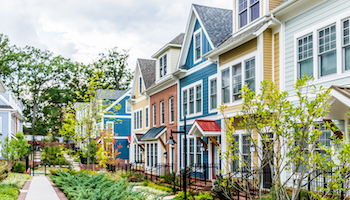 The VA mortgage is one of only two major loan programs that still allow borrowers to finance 100% of a home's purchase price (the other is the Department of Agriculture's Rural Development mortgage). Even Federal Housing Administration loans require a 3.5% down payment. However, there is a one-time VA funding fee. For most military borrowers — those taking out their first loan with no down payment — the fee is 2.15% of the loan. The funding fee is 0.25% higher for members of the reserves or National Guard. The VA will reduce your funding fee if you make a down payment of at least 5%. Surviving spouses and disabled service members typically don't have to pay the VA funding fee. If you are responsible for a funding fee, you can roll it into the amount you're borrowing (you'll pay interest on it, though). VA loans also allow the seller to pay your closing costs, meaning you can move into a home having used no out-of-pocket cash. Benefit 4. The interest rates are low, and you won't pay for mortgage insurance. VA loans charge low interest rates, even if you have a skimpy down payment and less than sterling credit. The average cost of a 30-year fixed-rate VA loan was 4.56% during January, according to Ellie Mae. That's considerably less than the average 5.04% lenders charged for conventional mortgages and 4.83% for FHA loans. You also won't have to buy mortgage insurance, no matter how little you put down. But borrowers must shop around for the best deal because some lenders provide significantly bigger discounts than others. Back in the day, virtually all home loans could be passed from one homeowner to another. Someone who bought your house could simply accept responsibility for your mortgage and start making the payments. There was no need to go through the expense and uncertainty of another loan. Today, virtually no mortgages are assumable, except for VA loans, which can be passed on to new owners in one of two ways. If the person buying your home has served in the military and can qualify for a VA loan, he or she can assume your mortgage. You're free to take out another VA loan. If the person buying your home does not qualify for a VA loan, you can still allow it to be assumed. You won't qualify for another VA loan until the new owner pays it off.